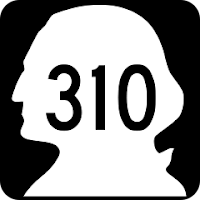 On Sunday, July 27, 2014, we drove the stretch of old highway in Bremerton now known as Washington State Route 310. At this junction with SR 3, Highway 310 begins. 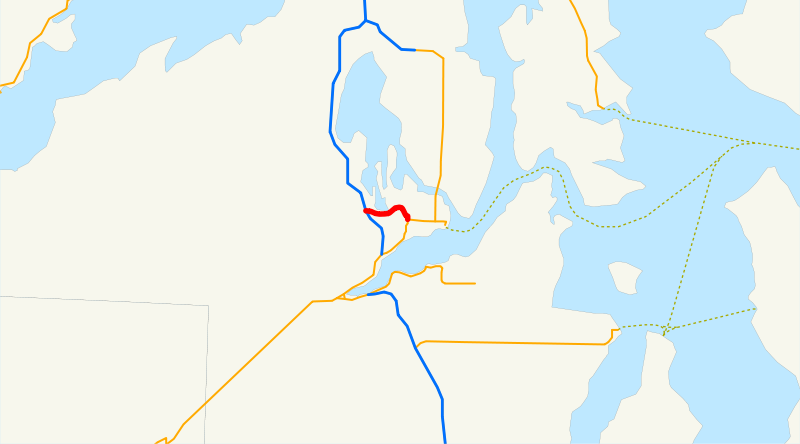 Once upon a time, this route was part of SR 3, before the freeway was built. 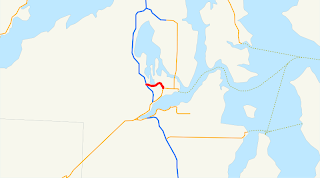 Most of the old highway up and down the Kitsap Peninsula transferred to cities and counties, but not this stretch entering Bremerton. Less than a mile later, we saw a car resting up on its side in the middle of an intersection. Curiously undamaged in appearance. Many police and firefighters in attendance. A suburban block later, we reached the halfway point of SR 310, pictured above. 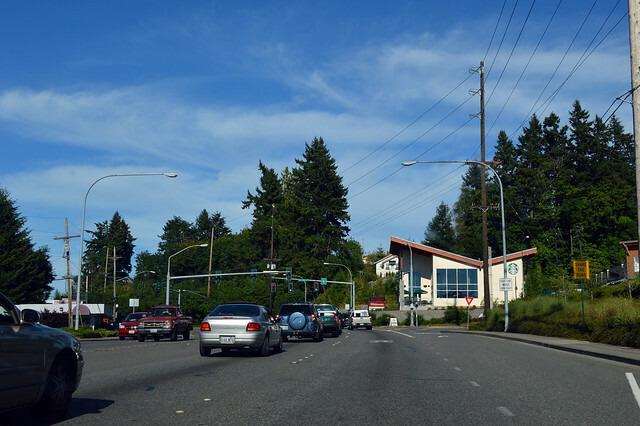 At Callow Avenue, the signs for Seattle ferries points straight ahead on 6th Street, but the little sign for SR 310 says to turn right on Callow. So we do. We enter a long block of short commercial buildings with no setbacks. Yup, this is the old highway through town. At Burwell Street, SR 310 ends, not that you'd know it from signage. 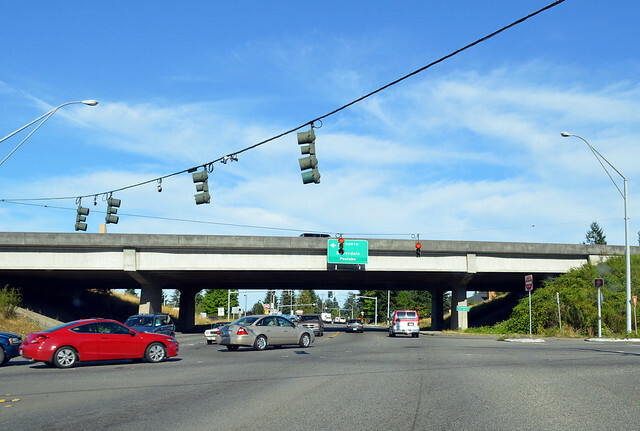 The only hint of anything is the overhead street sign declaring that SR 304 is to the left. It's also straight ahead. And the Seattle ferries are to the left, so that's where we went. 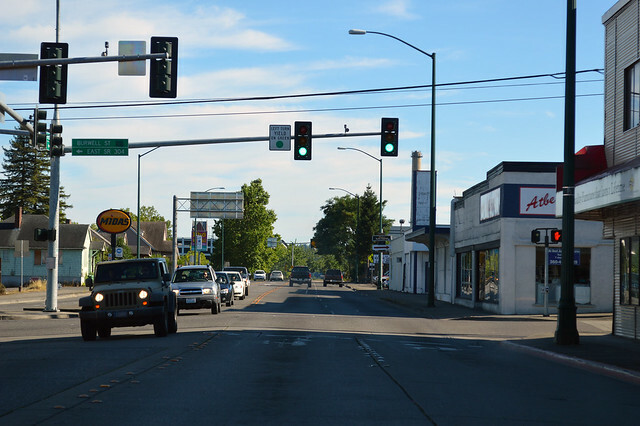 SR 310: just another unheralded little remnant urban highway.